What’s the dream you never thought you could fulfill? Often, we surrender our dreams to “I can’t” or “I wish.” This mindset lives beneath the surface and perhaps hinders us more than we realize. We accept the idea of impossibility rather than pursue our wildest dreams. It reminds me of the story of the four-minute mile. 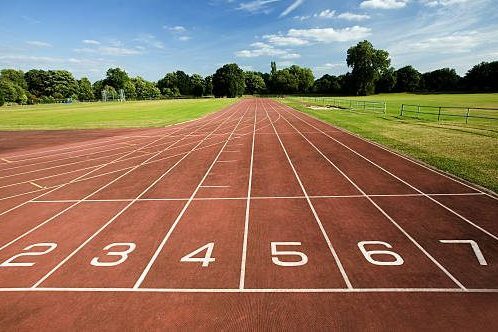 In the late 1800’s, doctors, scientists and physiologists worldwide declared that a human could not run a mile in under four minutes. For over one hundred years, the best runners in the world proved them right. Four minutes and four seconds, four minutes and two seconds, but never faster. On May 6, 1954, on a cold, wet day in Oxford, a medical student named Roger Bannister dashed across the finish line in just 3 minutes and 59 seconds. By shaving three seconds off the world record, history was made. But what really is the significance of those three seconds? Well, for the fastest runners in the world, three seconds changed everything. Year in and year out, for over century, no one could break the 4-minute barrier. Yet, only forty-six days after Bannister’s run, an Australian named John Landy ran the mile in 3 minutes and 58 seconds. The floodgates were open. One year later, 37 runners joined them in running a mile in under four minutes — the impossible suddenly became possible. No technological advancements. No performance enhancing drugs. Just a seemingly insignificant shift in mindset. Often what we believe is possible, is set by the standards of others. Bannister’s story reminds us to ignore that little voice that says “This is ridiculous,” or “Don’t go for that dream.” He shows us that believing that something is possible (or impossible) can make all the difference. So, what’s your four-minute mile? Maybe it’s time to conquer it!